Gubbio was colonized by the ancient Umbrian with the name of Ikuvium or Iguvium, as evidenced by the famous paintings of Gubbio (third century BC), which are seven bronze tablets written in Umbrian language on “the front and on the back”, which have become the most important document of Italy’s roman and recounting in minute detail and of a culture and a thriving economy and a Intenza religious life of that important center italics. Currently the seven tables are visible near the building of the consuls today museum. Under Roman rule the city was called before Iguvium and then Eugubium and became an important Roman city; in 552 it was destroyed by the Goths of Totila, who took over before the Byzantines in 592 and then the Lombards in 772. 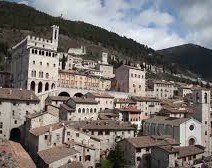 Gubbio in the eleventh century it became a free commune and in the twelfth century, co spiritual guidance of Bishop ubaldo won the famous war Perugia, allied with 10 other enemy cities. By 1384 it was included in the Duchy of Urbino, and went with the church in 1631 reached its peak in the fourteenth / fifteenth century, a period when it was enriched with monuments and assumed the characteristic medieval structure that still characterizes it, thanks to its thriving manufacturing activity. Famous all over the world are the glazed tiles from master George Andreoli sixteenth century. Gubbio is considered by scholars and researchers the most beautiful medieval city of Umbria and the whole world, for architectural conservation of monuments testifying its glorious past and the secular. The Roman theater that could hold about 15,000 spectators allaora located just outside the walls still bears witness to the importance of Gubbio as Roman municipality. 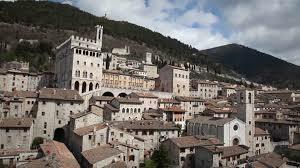 Gubbio hosts architectural masterpieces and recall that symbolize the power of this medieval state nationals. early fourteenth century dates the construction of the urban complex of the building of the consuls, the praetorian palace and hanging square, symbol of the city built in order to touch all four quarters. of particular interest are the palace of the captain of the people and the palace of the Bargello, the ancient city police, with the famous fountain of the mad, where today three turns around andd being bathed by its water, you can get the “license” crazy Freeman of the City of Gubbio. Renaissance lines of the ducal palace attributed to the famous Sienese architect Francesco di Giorgio Martini, which testifies to the rich period lived under the rule of Federico da Montefeltro. 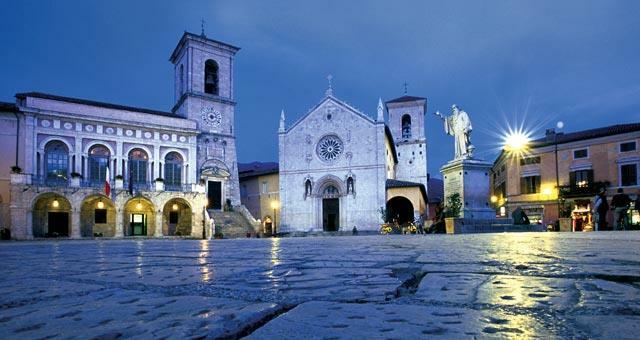 beautiful and important churches in the city: the Cathedral (XII century), santa maria new, inside which is the Madonna del Belvedere (1413) of ottaviano panels, the church and convent of Sant’Agostino (XIII century) with inside frescoes of the panels, the church and convent of St. Francis who is on ‘ancient home of Spadalonga which housed and clothed when Francis left Assisi and is stripped of all tangible (here he received his first tunic who adopted then, the followers of the order), the church of San Giovanni caratterizata by the facade and bell tower Romanesque, St. Peter, St. Dominic’s church and monastery of St. sant’andrea or martial. Remarkable is the square of 40 martyrs and the loggia of the shooters of wool. Outside the walls to see the Roman mausoleum of pomponio Grecino, the church of San second, the church of Our Lady of the meadow and the church of vittorina where according to tradition was the famous meeting between St. Francis and the Wolf narrated also in Chapter XXI of famous “Little Flowers” of St. Fracesco. 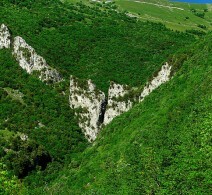 Of great interest, in addition to the natural park of the mountain cuckoo with its peak of 1,566 above sea level, with its largest cave of Italy the evocative throat Bottaccione, with rocks which, according to the theory, they hide their secrets the disappearance of the dinosaurs 65 million years ago; within these rocks are significant traces of iridium metal nn lying on the ground but that makes up meteorites .. some of the annual events of Gubbio are now known worldwide as THE FEAST OF CERI (15 May), PROCESSION OF THE DEAD CHRIST, THE STAKE OF CROSSBOW, CHRISTMAS TREE MORE ‘HIGH IN THE WORLD. 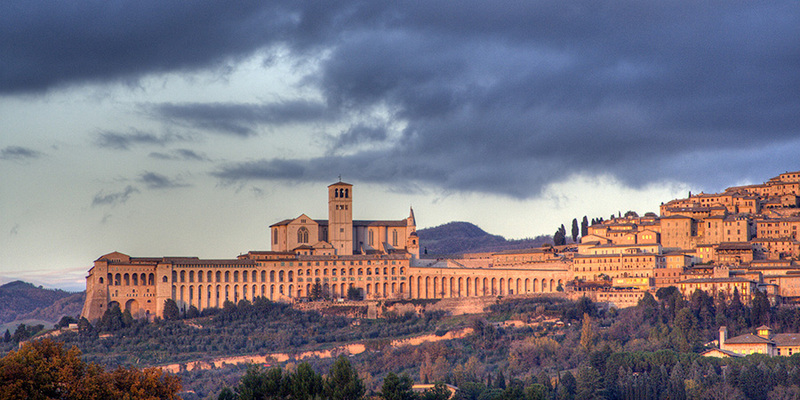 Assisi is a city of Roman origin (as Asisium), it is shown by numerous monuments such as the facade of the Temple of Minerva, the amphitheater, the walls, the hole. With the fall of the Roman Empire, the town became a settlement before the Goths (1545) and then came under the rule of longobardi- with the Middle Ages became an independent commune and was huge development mainly through the monastic movement (especially the Benedictines). The most illustrious of its citizens Francesce saint was born in 1182. Francis was proclaimed a saint in 1228, only two years after his death, by Pope Gregory IX. more tard the city was under the hand of the lordships like that of Gian Galeazzo Visconti, the family of Montefeltro, arm fortebraccio and Francis tries. 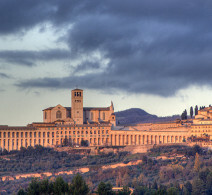 until the mid-sixteenth century, when Umbria was conquered by Pope Paolo III restoring papal control on city- later in diciannovensimo century, the city became part of the emerging Italian state. 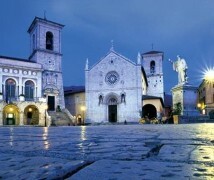 Norcia was founded by the Sabine near the Sibillini Mountains. according to historians, the area was inhabited since the Neolithic period, but the first evidence on the continuity of the settlement date back to the eighth century BC It developed at the end of the century. 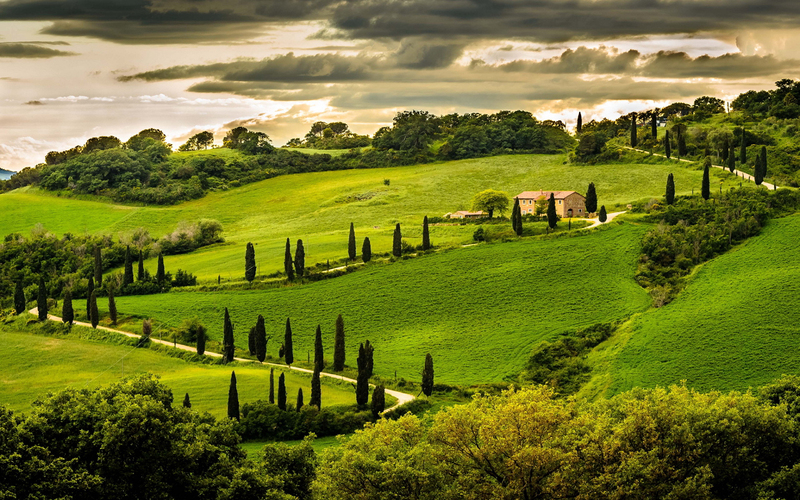 V a.c. and its name derives from the Etruscan Norcia (Etruscan goddess of fortune). A second theory is, however, that the name has its origins from Urso, builder of the ancient city. the ancient Nursia was celebrated by livio, plutarco and Virgil; the latter in the Aeneid, quoted the leader of Norcia, Ufente, next round in the fight against Enea. was mentioned for the first time in 205 BC, when he offered to scipione, allied to Rome, some volunteers with the cities of Rieti and amiternum, during the Second Punic War. 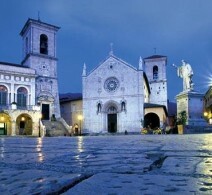 In the second century a.c. Norcia was erected at prefecture and then a roman municipality in Region IV Sabina. behind the walls completely intact town of Norcia there are the “rotten”, areas where water, collected and redistributed through a rational system of canals invented by Benedictine monks veros 400-500, floods on an ongoing basis and controlled for long periods of the year large areas of land, allowing the collection of a hay plentiful. The Trasimeno is located in a central position to the art cities of central Italy, between Florence and Rome; close to places rich in history and culture such as Siena, Arezzo, Perugia, Assisi, Orvieto and Gubbio. The area of the lake is composed of eight municipalities, some of them perched on the hills (the city parish, paciano, panicale and piegaro) and others (Castiglione lake, mansion, passignano on Trasimeno and Tuoro sul Trasimeno) directly facing the mirror d ‘water. The beauty and harmony of these places also noticed Prince Trasimeno, son of the legendary founder of the Etruscans, the Tyrrhenian king, who was fascinated by this landscape, he came across in the beauty of the nymph Agilla. From this double meeting was born a passion that ended tragically with the death of Prince. 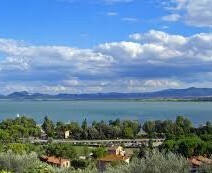 since the lake was called Trasimeno and it is said that when the wind caresses its waters, you can still hear the melancholic lament the nymph Agilla crying looking for his amatto. In these places mythology merges with history and it tells of a place considered sacred to the Etruscans. 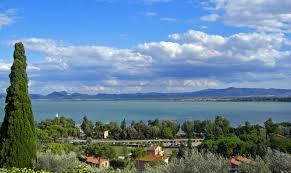 In fact, the lake Trasimeno, called by them “Tarsminas” as reported in the “tabula cortonensis”, was seen as a kind of earthly representation of the sky. 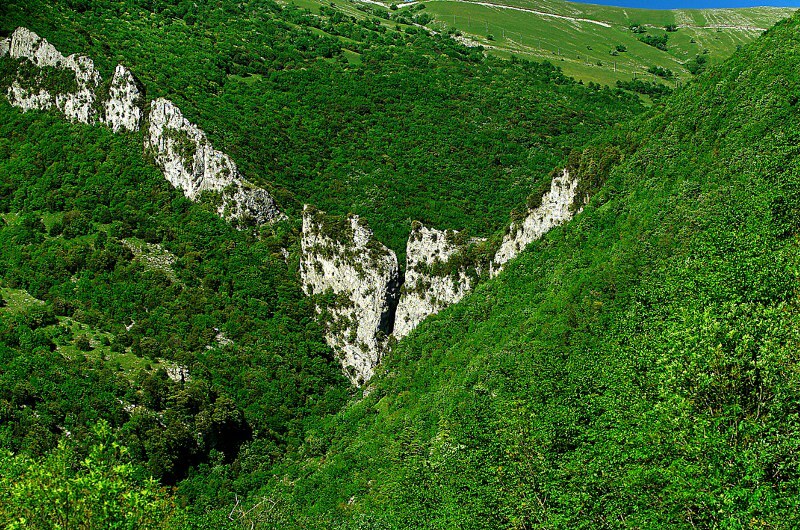 The park of the mountain cuckoo includes the territory of the region of Umbria on the border north-east, bounded by the Apennine mountain ridge on which stands the cuckoo (1566 meters), the historical route of the Via Flaminia. Rivers Chiascio and resent. The resident population in the park does not reach the 7000 inhabitants. In the mountain area of human activity it is directed exclusively to the management of forests and pasture management. the valley is managed and largely arable but not with intensive farming. They are present in the territory of the municipalities of the park numerous commercial and manufacturing of small businesses as well as accommodation and catering re that, together with the high level of services, assure a pleasant enjoyment dle park. 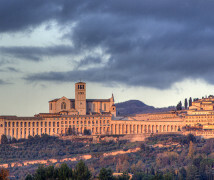 Major cities, largest and cultural heritage, as a backdrop to territoriodel cuckoo, are: Gubbio north and south gualdo tadino. 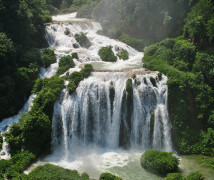 is the park of groundwater and mineral sources, of pristine waterways, the great beech woods intact, karst caves inviolable from attending mass. Is the park where the wolf and the golden eagle. The park is characterized by smaller historical centers but rich in cultural and artistic; numerous and charming hermitages. “High quality” that the park of the mountain cuckoo expresses, makes it an ideal place for the practice of mountain sports: gliding, caving, cross-country skiing, hiking. 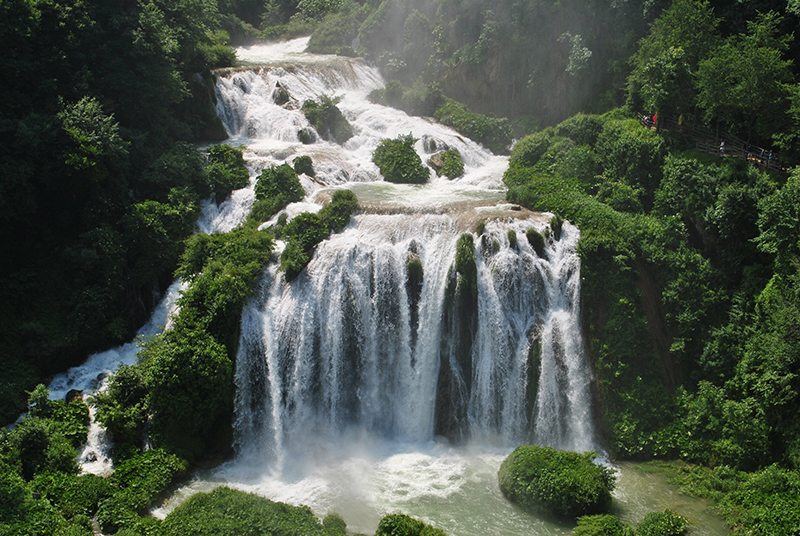 The waterfall of marble, extolled for centuries for its beauty, it appears as a roaring column of water spread over three jumps. wrapping the flora in a cloud of white foam, covering a vertical drop of 165 meters. scenario unveiled to visitors is the result of over two thousand years of work from the man who, since the Roman period, attempted to channel the waters of the river Velino to make them fall into the river below black. 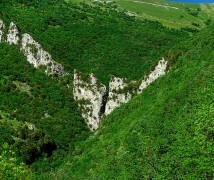 Its history began in 271 BC, when the Roman consul curio toothed undertaken a work of reclamation of the Rieti plain creating a channel of more than two kilometers to the edge of the cliff in marble.iin archeology, moreover, the imprint left by the ancient territory is testified by numerous findings formally drawn arc in the years. 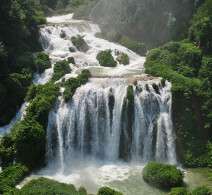 established through the centuries as one of the most magnificent phenomena of nature, waterfall marmore assumed to role of protagonist in art and literature, becoming a destination for those intellectuals who, along the way of the grand tour, reached Italy for undertake studies on classicism. The last two decades of the nineteenth sec.divenne regulatory tool of the water system, used for energy purposes for the emerging industry to the point that the use of water for industrial prevailed on naturalistic connotations, intellectuals and do. Today the park welcomes visitors marmore leading him through various hiking trails, discovering rocks and caves that characterize the geology. and vegetation, with its species of great value, attracts attention of those who venture into the hiking area, the heart of the area.